Super clean townhome in desirable Bent Tree Villas. 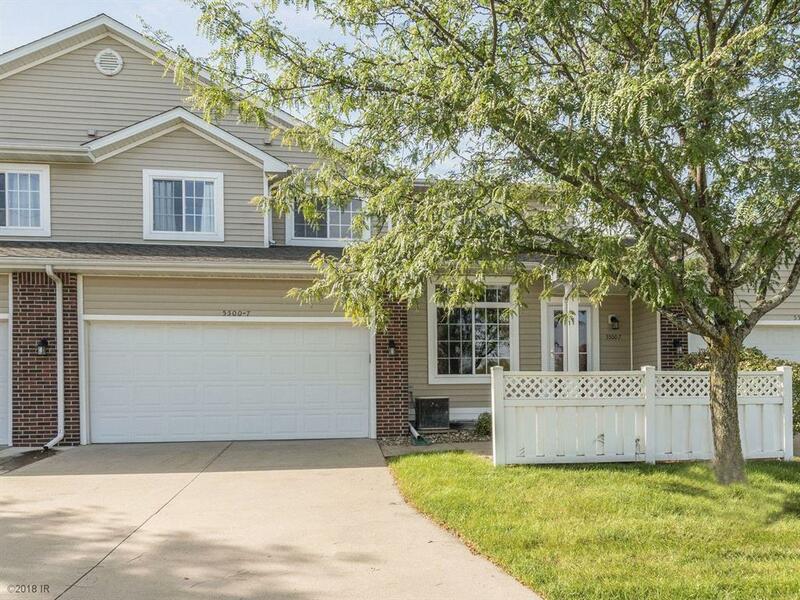 This home features 3 beds, 2.5 baths, open floor plan, 2 car attached garage with 1438 SF of finish. Huge master bedroom with full bath and large walk-in closet. Tons of storage throughout, including the full basement which is ready to finish. All appliances are included and quick possession is possible. Enjoy the private patio overlooking natural grasses and green space instead of looking into another townhome. Very private and quiet location on a dead-end street. Come experience the stress-free living that a townhome offers. Call today for your private tour.